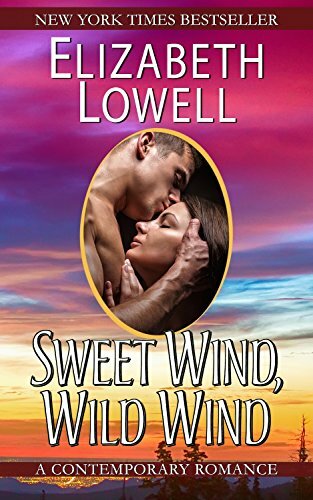 "The first hardcover edition of this early Lowell novel embodies the author's love of the west, as she explains in a letter to her readers, making Sweet Wind, Wild Wind a must for her many fans. " An Elizabeth Lowell Classic. First time in eBook. As an innocent, Lara Chandler had once offered herself in love to Carson Blackridge. He had turned away from her in a rejection that had frozen her sensuality. Now the only thing that could touch her passion was the history of the Rocking B, the ranch that both Carson and Lara had grown up on. Carson had been adopted as a baby by the owner of the Rocking B. But he had never been loved. The bitter history between his adoptive parents had taught him that the past could only destroy the present. Yet that past kept reaching forward, destroying Carson’s hope of saving the Rocking B. He needed Lara to keep the ranch, yet she fled whenever he approached. Time was running out. Only together could Carson and Lara keep the ranch. Only together could they learn that love would bridge the bitterness of the past and create a better future for children of the Rocking B. Originally published in 1987 in Silhouette Intimate Moments #178 and reissued in September 1992 by Silhouette, July 1997 by MIRA, June 2003 in Summer Gold with A Wolf River Summer by Barbara McCauley and May 2006 in 2-in-1 with Too Hot to Handle.